Discovering Queen Elizabeth (and Duchess Kate's) Britain, one beauty recipe at a time! Home / Celebrities / Discovering Queen Elizabeth (and Duchess Kate’s) Britain, one beauty recipe at a time! So, did Queen Elizabeth wake up on her 92nd birthday and have a nice laugh at Prince Charles’ expense? Hoo boy, doesn’t seem you’re going to be the king anytime in the near future. After all, the world’s oldest monarch isn’t going anywhere soon, considering her sprightly step and reigns-well-in-hand disposition. And thank God for that! Because Elizabeth Alexandra Mary (as she was christened after her birth at 2:40 am on April 21, 1926) is one of the most iconic and stylish monarchs of our times. She has many a sartorial success to her name, not the least of all being those super-perky block colours that make sure she immediately stands out in any crowd. And her style is truly global, replete with a wedding ring made from a nugget of Welsh gold and a coronation dress that was embroidered with English roses, Scottish thistles, Welsh leeks, Irish shamrocks and the national flowers of the Dominions. Her wedding cake was made using ingredients gifted by the Australian Girl Guides. 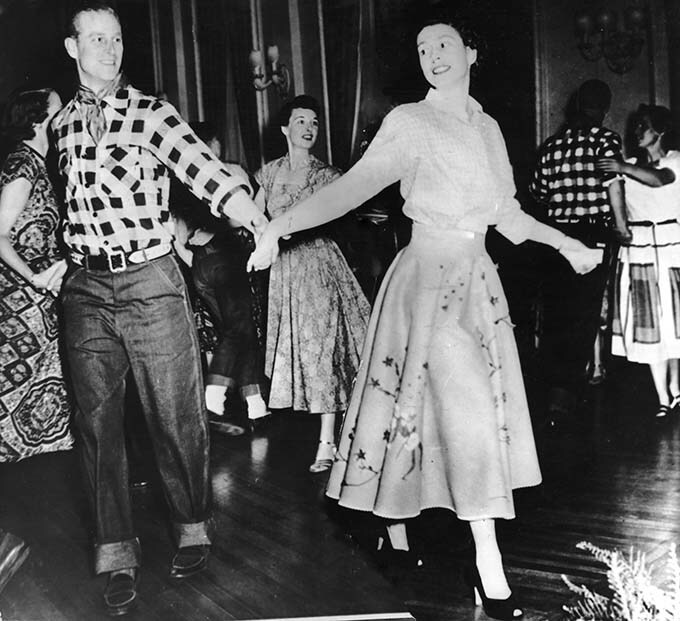 Queen Elizabeth II also has an abiding love for Scottish country dancing and once wore a stunning gown hand-sewn with 2,091 shamrocks during a State visit to Ireland. Her favourite indulgence is a collection of pretty, sheer umbrellas with different coloured bands to match her outfits. Besides umbrellas, the queen has an extensive (to put it mildly) collection of jewellery that includes the largest pink diamond in the world. Plus, she owns 88 cygnet swans and all the dolphins, whales, porpoises and sturgeons caught within three miles of UK’s coast.She has launched over 20 ships and hosts more than 50,000 people at Buckingham Palace in an average year (that has to be exhausting!). 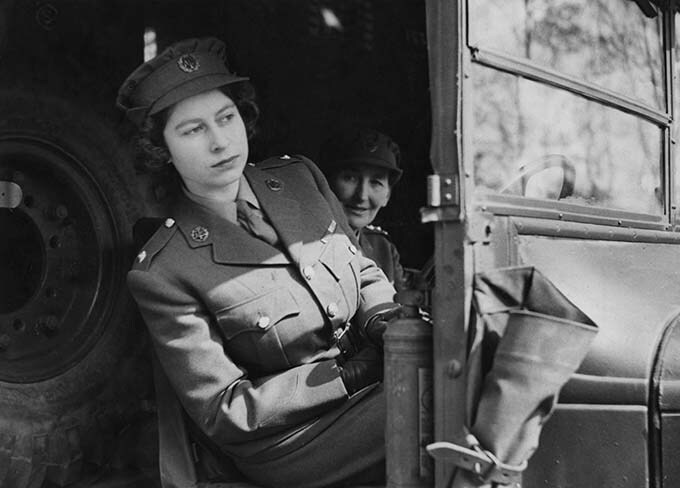 But Queen Elizabeth II’s prowess goes much deeper: She trained as a mechanic during the second world war, collected rationing coupons for her wedding dress, has a long association with racing pigeons (such a thing exists? ), has seen 13 UK prime ministers during her reign (yes, you read that correctly), sent her first email in 1976 (again, yup! ), bred a corgi with a dachshund to create the dorgi, was the first titular head of the Church of England to receive a Pope at the Buckingham Palace in 450 years (Pope John Paul II in 1982), has been a working mother to four children (and trust me, with them being brats so very often and her having a brutal schedule, it couldn’t be easy!) and her thoroughbreds have won virtually every major race in Britain. No wonder the world is celebrating 92 years of this magnificent woman. Which set me to thinking: How do we pretty ladies, sitting thousands of miles from jolly Britain, join in the festivities? And being beauty-obsessed as I am, what could be better than digging out vintage English skincare recipes, going back to the 17th and 18th century world of Britain’s erstwhile royals? After all, the British love their traditions and their peaches-and-cream complexions have always been the stuff of legend. 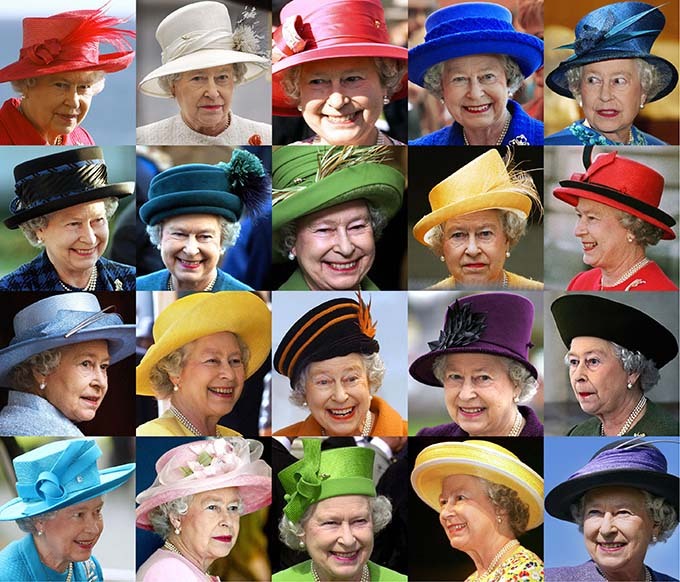 Just see Queen Elizabeth II – there is no way she looks 90! Thankfully, I am blessed with quite a hefty lineage of Brit-born relatives, so an extensive hunt through old family hideaways has revealed a treasure trove of traditional English skincare secrets that can still hold their own on milady’s makeup table. You are welcome, Duchess Catherine. And Ms Meghan Markle. Make a hole in a lemon and fill it with granulated sugar. Then roast the lemon in hot ashes (or on a grill). When you want to use the juice, squeeze out a little through the hole and dab it on with a napkin. Leave on for a couple of hours before rinsing off with cold water. This is perfect for deep cleansing the skin and brightening the complexion. Why it works: Lemon juice has tons of citric acid, which is a great antimicrobial and exfoliator. Sugar granules make for a perfect natural scrub. The original recipe also called for an application of gold leaf over the lemon rind but that’s (thankfully for everyone who’s not Kate Middleton!) superfluous. Pound a few leeks with a mortar and pestle, squeeze out the juice and pass it through a strainer. Just before using, pour a few drops of rubbing alcohol on the juice – it will instantly turn milky. This is a terrific treatment for acne, plus it also keeps the skin soft and smooth. Why it works: Leeks are anti-inflammatory and contain tons of quercetin, which is one of the beauty industry’s top antioxidants. They have also long been used to reduce scarring and figure in several drugstore treatments. Add a teaspoon of honey to one mashed apple and mix well. Put this mixture on your face and neck. Leave it on for half an hour, then rinse with whey or cold milk. Why it works: Honey is one of nature’s best moisturisers, while apples are chockfull of vitamins A and C. These make the fruit great at repairing damaged skin cells and exfoliating the dead ones. Milk and whey, in the meantime, are great for strengthening skin tissues. Taking equal parts of lemon juice and egg whites, beat them together in a glazed earthen pan till the mixture acquires the consistency of butter. Add a few drops of any essential oil (to mask the scent of egg whites). Then wash face with rice water and apply this face pack. Wash off after half an hour. Why it works: The citric acid in lemon juice banishes dead skin cells, helping unclog pores and making skin look smooth and glow-y. Egg whites are loaded with protein and act as an astringent, while rice water is a great skin softener. Mix a handful of finely milled oatmeal with enough spring water (or bottled mineral water) to make a paste, then put this mixture on your face and neck. When it dries, rinse off with whey, then with water. Why it works: Finely milled oatmeal sticks to skin’s surface irritants, which can then be gently rinsed away for thorough cleansing sans the dryness. Plus, it’s a great hydrator. Apply barley water and a few drops of Balm of Gilead (plain ol’ balsam) on your face everyday. Why it works: Barley water is an ancient remedy for wrinkles, since it nourishes the skin, boosts the growth of healthy tissues and keeps everything smooth, plumped up and unlined. Balsam is rich in vitamins E and C, which slow down skin ageing and protect against inflammation. Take 2 pounds of barley , 8 pounds of bran and a few handfuls of borage leaves . Boil them in a sufficient quantity of spring water, then pour the decoction into your bath. Nothing cleanses and softens the skin better! Why it works: Barley is a great hydrator and anti-inflammatory, while borage contains tons of fatty acids – the perfect formula for soothing and moisturizing the skin. Add half cup of glycerin, half cup of rose water and a quarter cup of witch hazel to a glass jar; shake well. Apply this to your hands 2-3 times daily. Why it works: Rose water and glycerin are the classic combination used in hand creams for years. Glycerin is a terrific humectant (draws moisture from the air to hydrate skin); while rosewater conditions skin and reduces sun damage. Take four handfuls of pennyroyal , sage and rosemary, three handfuls of angelica and four ounces of juniper berries. Boil these in a sufficient quantity of water, and drain off the liquor for use. Why it works: Besides the fact that this herb bath smells gorgeous, angelica is anti-fungal and antibacterial. Result? It not only keeps feet free of infections but also dispels stink-producing bacteria. Juniper berries are also astringent and make feet feel nice, cool and fresh. Fill a jar with pressed rose petals (or any sweet-scented flowers), add as much glycerin as the container will hold, and cover it tightly. After 3 weeks, you can decant the perfume into a bottle. Are you as bowled over by Queen Elizabeth II as me? Or not? And what’s YOUR secret homeland recipe?